August Horch founded his first car company, A. Horch & Cie. in 1899. But just 10 years later, Horch wasn’t seeing eye-to-eye with his Chief Financial officer and left his own company to start August Horch Automobilwerke GmbH. Unfortunately, Horch soon learned the Horch name belonged to his former company when he was notified of a copyright infringement. 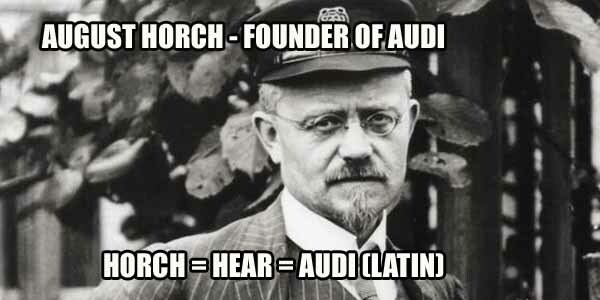 In response, Horch changed the new company’s name to the latin translation of his last name. 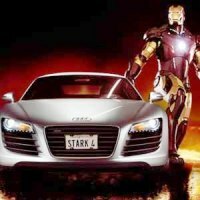 In German “horch” means “hear,” which in Latin is “audi”.